General Motors has declined to give an assurance about the future of the company's Vauxhall brand. Fiat group's plan to merge its car business with GM European operations has raised fears for the future of GM's Vauxhall unit in the U.K.
GM CEO Fritz Henderson would not say if the Vauxhall brand would be guaranteed as part of negotiations with a buyer for the U.S. carmaker's European business. “The U.K. is our largest market in Europe, we have dealers who do a fantastic job and our plants there have done fantastic work,” Henderson told a news conference in Detroit on Monday. Vauxhall “is a crucial and integral part of the business,” Henderson said. But he would not give assurances on Vauxhall's future. “I won't go into details what other parties will do or what on the negotiating table,” he said. The senior labor leader of General Motors' Opel unit, Klaus Franz, said last week that Fiat's proposed takeover of GM's European business will lead to factory closures in England and Italy. 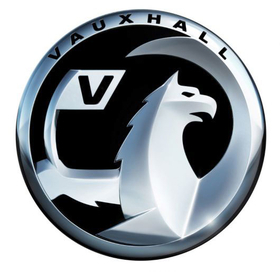 Vauxhall has two vehicle manufacturing factories in England at Ellesmere Port and Luton. After a meeting last week with Fiat CEO Sergio Marchionne, Franz said Marchionne's plans foresee the loss of some 9,000 to 10,000 jobs at the combined European operations of Fiat and GM Europe. Contrary to Marchionne's comments in public, Franz said the Fiat boss told him that Opel's Kaiserslautern engine plant would have to be closed along with other Fiat/Opel manufacturing sites in England and Italy. Fiat said the information, "does not come from Fiat and is not part of any plan prepared by the company." Tony Woodley, a former Ellesmere Port worker and general secretary of British industrial union Unite, said: "Inevitably, plants will be reduced across the European Union if this takeover goes ahead. This move sends shivers down my spine."